Spiced up with fresh nutmeg powder and other spices, Rajasthani Jaiphali Aloo symbolizes the power packed motley of masalas and potatoes. Here is how to make it. Try any cuisines of the world, but in the heart of your heart, you know that you would never be able to outgrow your passion for typical, Indian food. 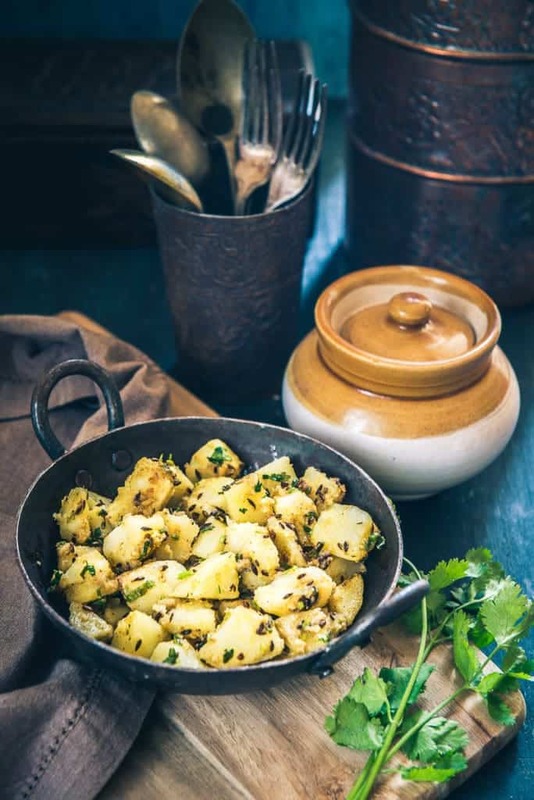 Especially, when in it comes to potatoes, our love for them just never ceases to die to wither away as they form an integral part of all our desi meals. Be it in the form of Aloo Gosht, Aloo aur Paneer Tikki, Aloo Matar ki Rasedar Sabzi, potatoes always perk up our brunch, supper, lunch and dinner. 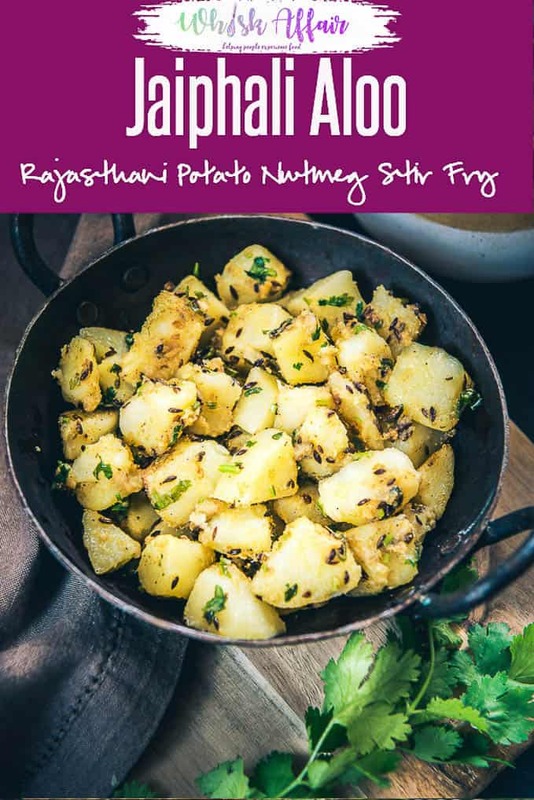 Having this craze for trying different cuisines and for using potatoes for umpteen combinations, the other day, I tried my hands on a typical Rajasthani delicacy called Rajasthani Jaiphali Aloo. Too simple to prepare even for a kid, this dish tastes wonderful with any Indian flatbread like rotis, parathas, naan or as matter of fact even with Theplas. 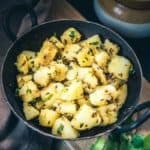 If you are a pungent food fan or even otherwise, mark my words, Jaiphali Aloo is definitely going to be a keeper recipe for you. So, roll up your sleeves, get your spices in place and saute this delicious, desi Indian sabzi for today’s meal, peeps! 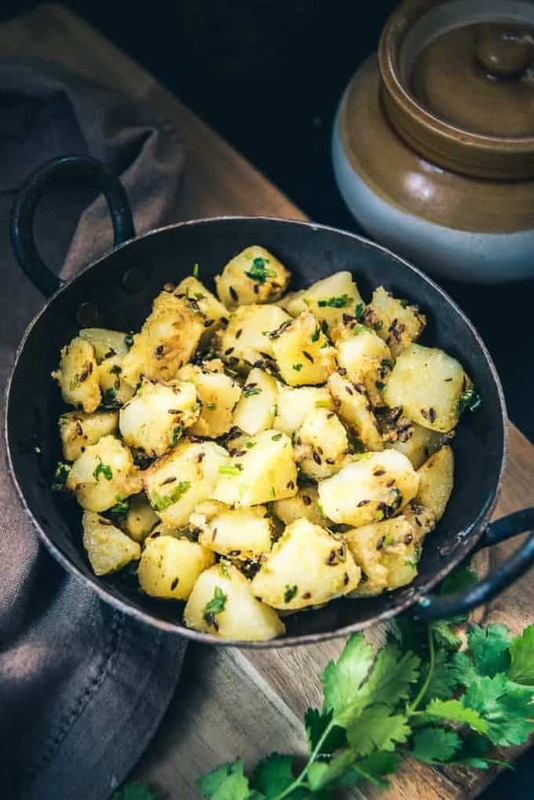 Spiced up with fresh nutmeg powder, fennel powder, coriander powder, Rajasthani Jaiphali Aloo symbolizes the power packed motley of masalas and potatoes. Heat water in a pan and once it comes to a boil, add the potatoes. Cook until the potatoes are just cooked. Drain the water and keep the potatoes aside. Heat vegetable oil in a karahi. Add cumin seeds and let them crackle for a few seconds. Add ginger and green chilli and fry for a few seconds. Now add cooked potatoes along with nutmeg powder, fennel powder, coriander powder and salt and fry for 3-4 minutes. Serve hot with dal and phulke.